← Yes Me, Lazy Me! I love the imagery, you have a wonderful eye for such things, it brings the weather and that ghostly feel to the season. Wonderfully evocative! Thanks for stopping by my weekly challenge. Exactly, like how you said it – a new season is upon us, hope it doesn’t get too cold. A very stark and apt picture of winter. However, winter can also be very cozy. Beautiful. . But then this is also nature’s beauty. .
And yes winter is here we already had a small teeny weeny first snow of the season. Your poem about the branches being parts of wooden skeletons waa so intriguing. 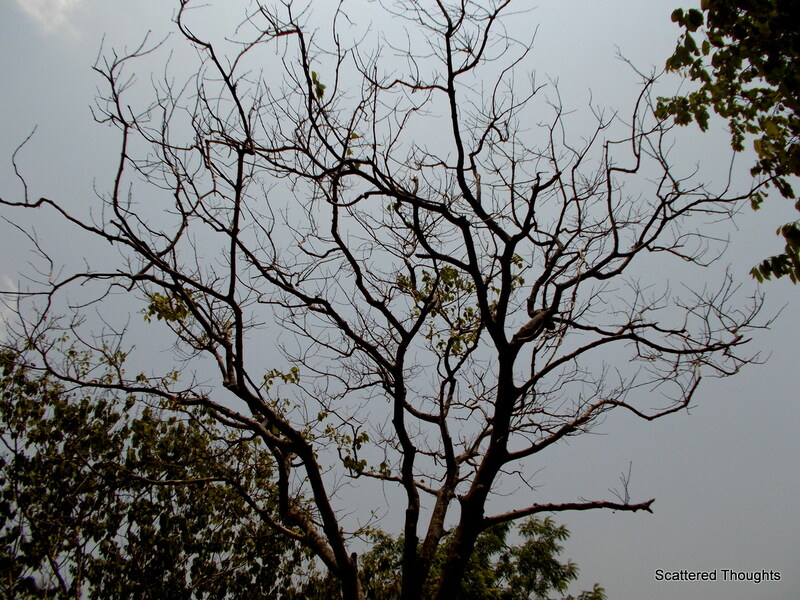 I have written a rough draft called “Bare Bones,” with tree branches in it, Maniparna. I may have to give your post a “shout out” or someone may have thought I copied your idea. 🙂 ♡ It won’t be for awhile, though. Yeah..a cup of hot chocolate sounds great 😀 And, I’m not a fan of winter as well..you got me here… 😀 My favourite season is the monsoon..what’s yours? Winter compared with a sage – grey and worn is just beautiful..and wooden skeletons standing arrogantly after having bidden adieu to the green leaves is aptly describes the picture. Lovely! Nor is it mine. ..but yes the onset of winter changes the landscape..also gives the opportunity to use the woolens. Wooden skeletons indeed, Such a different sight eh?